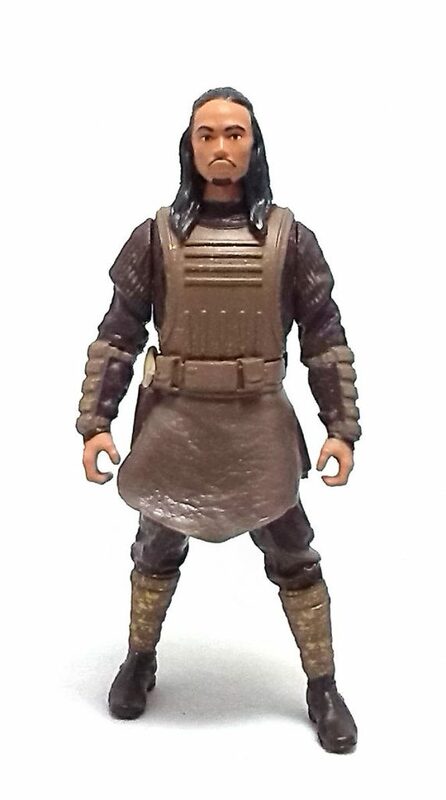 The character design for Tasu Leech seems rather generic; he is human and is attired in oddly archaic garments that would not look out of place in a Pirates of the Caribbean movie. Tasu’s garments have a good level of detail, but he also wears a pliable rubber skirt that stands out quite awkwardly, because the piece has no texture whatsoever and the front flap sticks outward in a rather odd way; a fact made more apparent because Tasu was sculpted in a wide, stepping-forth stance. The head sculpt is decent, but not very defined. 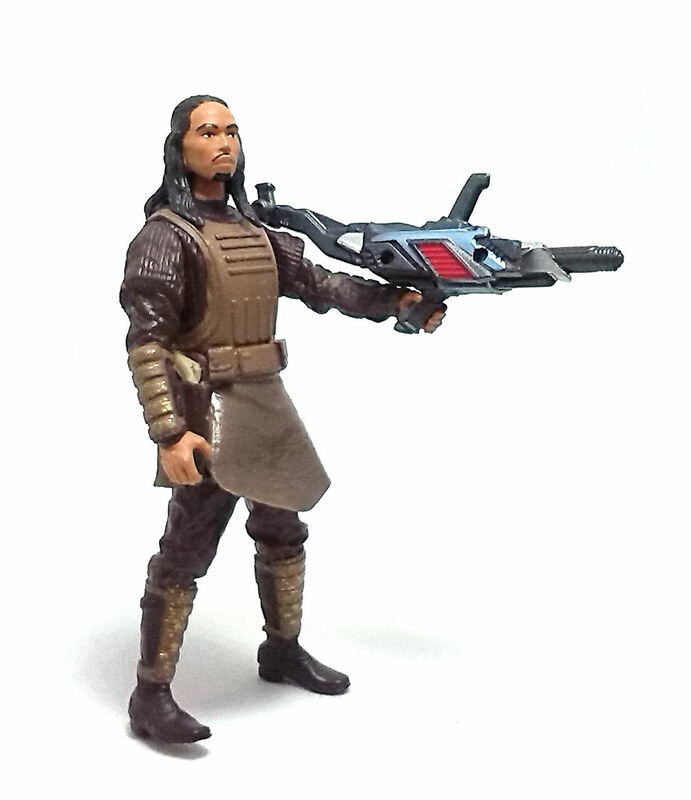 The hair sculpt is OK, but the facial features are captured broadly, in a way that makes Tasu Leech look much younger (and cleaner) than he was on the screen. Articulation is limited, of course, but between the rubber skirt and the wide stance, there is little chance of this guy fitting inside most vehicles. 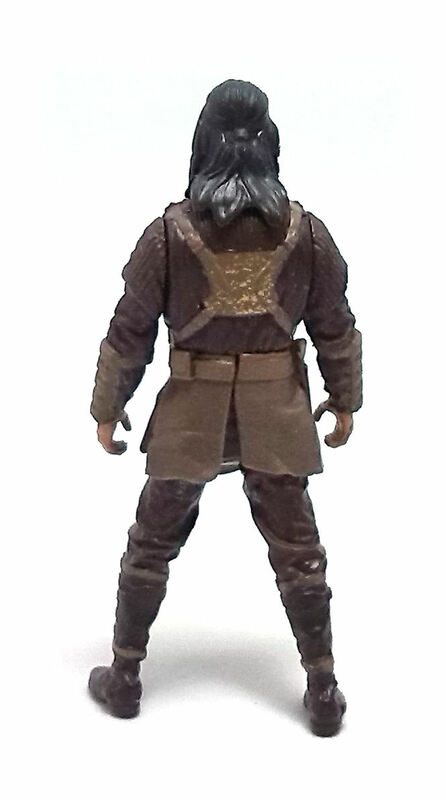 Unfortunately, the right leg sculpt also makes him rather hard to stand up, especially while holding up any included weapon in his right hand, as the extra weight easily offsets the center of mass of this figure, unless you are willing to compromise and have Tasu drive forth his right heel. 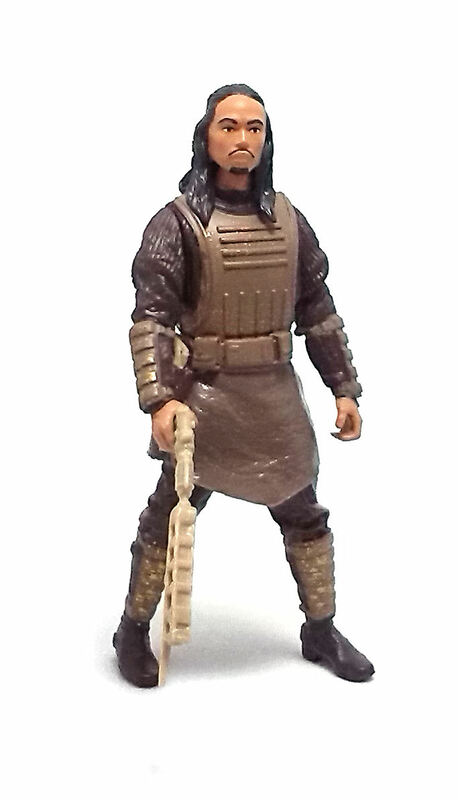 The paint job on Tasu Leech is nice and neat, although the color scheme is actually quite boring, consisting mostly in different shades of brown. The face is very well painted, even though this neatness accentuates Tasu’s baby-faced appearance. 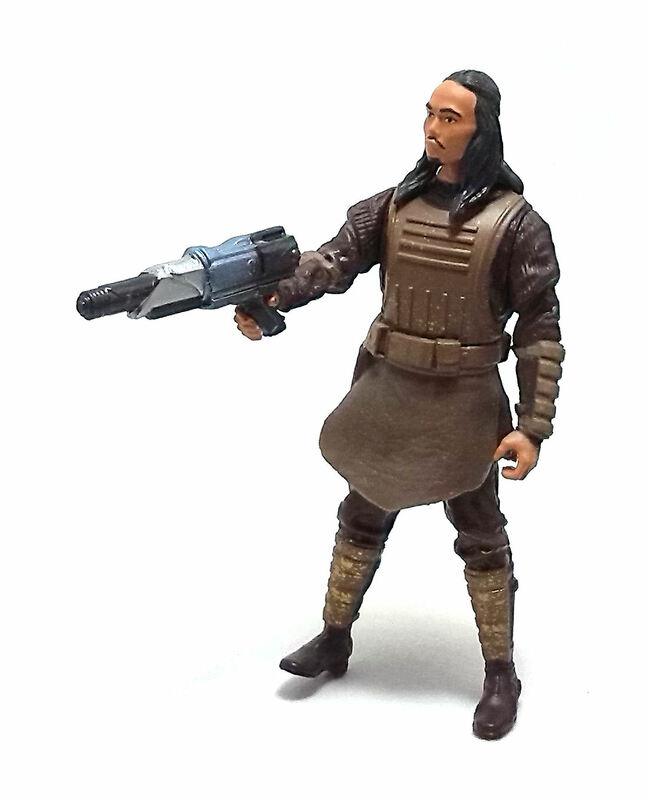 As far as accessories are concerned, Tasu Leech comes armed with a small carbine-like gun molded in cream-colored plastic with no deco on it. 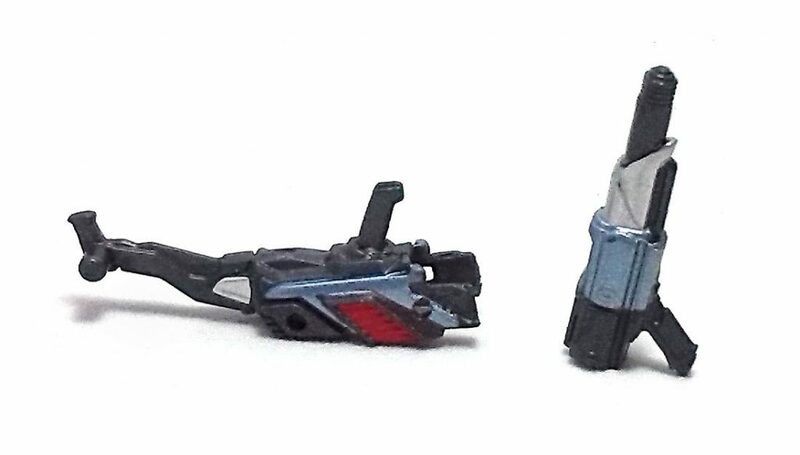 He also has a Build-A-Weapon piece included that has a lot more paint applied to it. 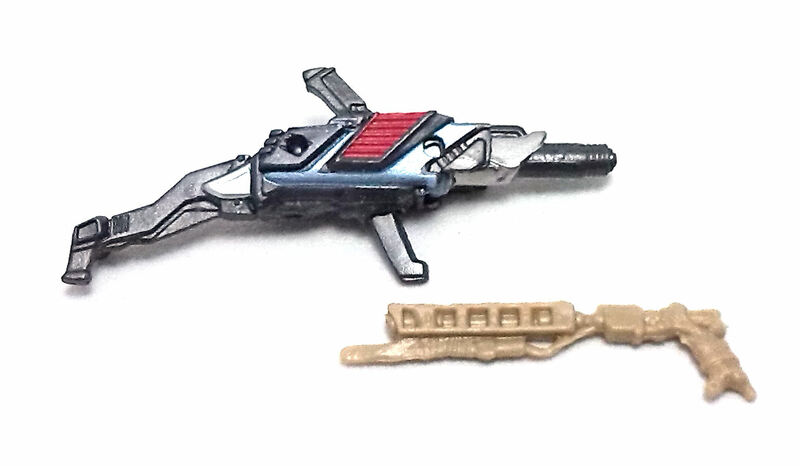 This BAW piece is actually two separate components, one that looks like a very heavy blaster pistol and a removable stock piece with couple of slots to regulate the total length of the weapon. 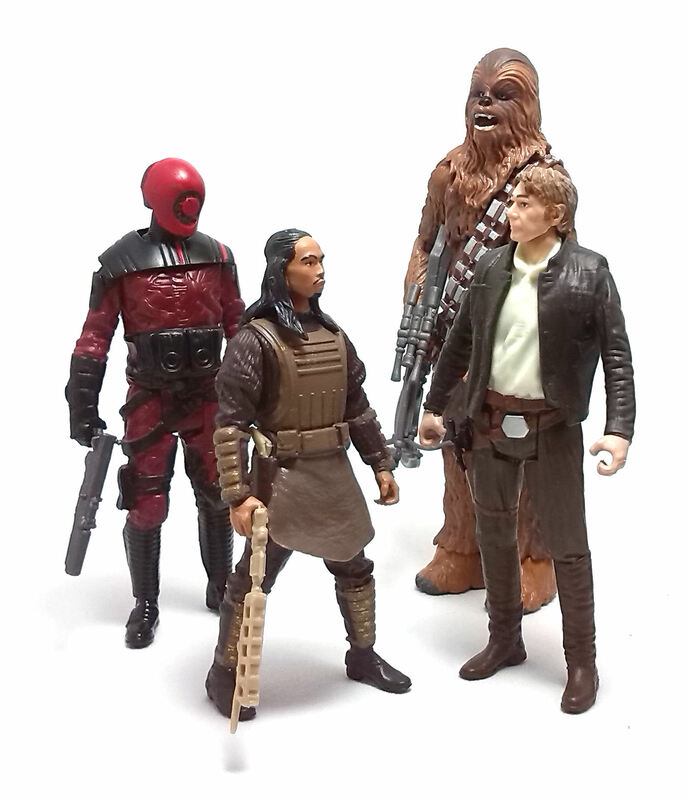 Even though Tasu Leech is far from being a bad figure, I have to say that it is pretty unremarkable and the iffy balance can be annoying at times, but all things considered, it is stilll a pretty decent addition for my shelf.